Home > About Green Cars > About Green Cars > Want to buy a new green car but need to sell your old car first? We Buy Cars Today can help. If you’re looking to buy a new, greener car, but you need to sell your old car first, what is a reliable way to sell your car? Instead of using the traditional way of marketing through local classifieds, attending hundreds of phone calls and haggling with strangers, it is much easier to sell a car through the internet. In this article, we are going to discuss ahassle-free way to sell your car online. We Buy Cars Today began their journey in 2011, and today they are considered the UK’s first online car buying company that offers free collection and instant payment for a car. What’s more, We Buy Cars Today has helped over 300,000+ customers who are looking for a convenient way to sell cars online without any hidden charges. 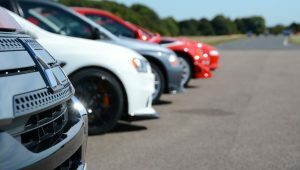 Here are five reasons why We Buy Cars Today should be your first choice when selling a car online. A car is a faithful companion in a person’s everyday life. However, after years of wear and tear, there comes a time when it is simply too expensive to maintain the car due to its age and damage. With this car, there is no other option but to scrap the vehicle. But We Buy Cars Today makes this troublesome situation a piece of cake for you. Instead of paying a high fee for scrapping the car, you can easily contact We Buy Cars Today and ask them for a free online valuation for your car, no matter what condition it is in. Don’t worry! All your information will be treated with utmost confidentialityand will remain secure at all time. Gone are the days when getting your car evaluated was a huge hassle. You had to visit countless car dealers and garages who inspected your cars and estimate it based on their own judgment. But thanks to technology, there is a much better and accurate car valuation system available at We Buy Cars Today. We Buy Cars Today has a team of experts that can provide you with the best service for an online car valuation. A team of in-house professionals will evaluate your car. There are many reasons why you might want toget your car valuations done by a group of experts. If you are tired of driving the same model for a long time or looking for a way to chip in more money to buy a newer car- an online valuation is a great way to know your car’s worth. It’s a great way to find out the real value of your used car, so there is no way someone can con you into selling the car for a much lesser price. You can rely on the honest and easy car valuation service offered by We Buy Cars Today. All you need to do is enter yourcar’s registration number, and their online system will fetch all the available information related to your vehicle so you can know exactly how much your car is worth. One of the most intimidating parts about selling a car to a dealer or garage is the unnecessary negotiating and bargaining. We Buy Cars Today aims to eliminate this process by offering a state-of-the-art online valuation system for your used car. Just enter your car’s registration details on their forum, and you will get an instant online valuation for your vehicle. This whole process saves you from the nervousness and anxiety associated with the thought of selling a used car. Even if you don’t plan to sell your car immediately then, the price estimate can help establish an approximate value of your vehicle. After all, your car has been a faithful companion on the roads for so many years, and you deserve to get its actual worth and not a penny less. Now that you are done with the process of getting an online quote for your car, the next step is to ask the team of We Buy Cars Today to arrange a visit. You can get your vehicle picked from your home or office (whatever suits you) by giving the unique quote number you will be provided after registration. Once all the documents are verified, you’ll get instant payment. The money will be transferred directly to your bank account, andyou can check it before the team leaves with the car. We Buy Cars Today has thousands of real-life positive reviews, and this is why you can trust them when considering selling a car online. Beware of other websites and online car buyers as you don’t want to be scammed. We hope that all these points have convinced you that We Buy Cars Today is one of the most reliable and hassle-free ways to sell a car online. If you still have any more questions or concerns regarding the process, then let us know by contacting @michellejoe524 on twitter.